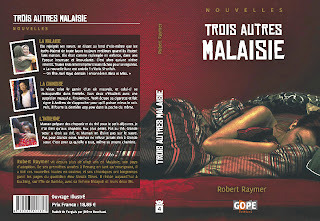 Just had my first interview translated into French, due out after Trois autres Malaisie is published. 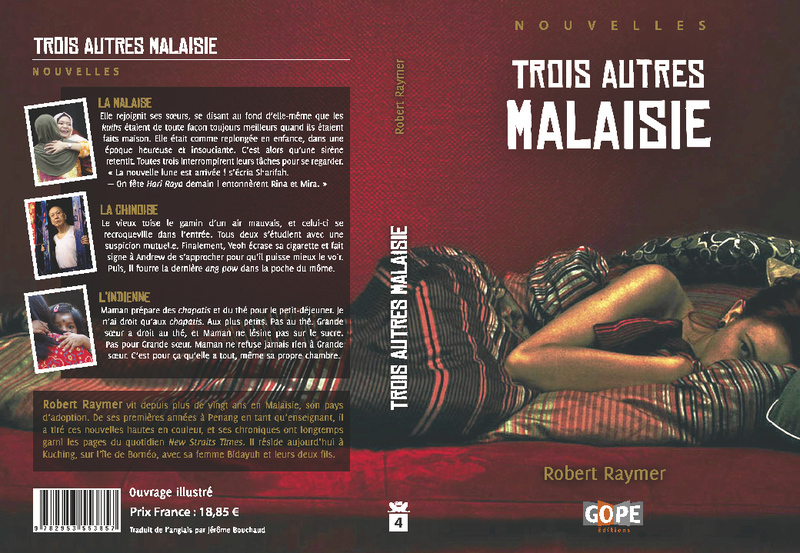 Now I’m finding working with the French publisher Éditions GOPE over revising Trois autres Malaisie, the French translation of Lovers and Strangers Revisited, a whole new experience, but not in the way that I was expecting. Over the years, I’ve worked with four editors on the previous versions of Lovers and Strangers Revisited (Heinemann Asia, Silverfish, MPH, plus the editor I hired when I decided to revisit the stories), and all of the previous editors concentrated mostly on grammar and story clarity to make sure it’s clear what’s going on in the story. But this time around, there are new considerations. Other than idioms that rarely make any sense if you translate them literally, the questions I’m getting are mainly about culture or physical details peculiar to Malaysia or even Southeast Asia . Unlike the previous editors and even the French translator Jerome Bouchaud, who have all lived in Malaysia or Singapore, the French publisher/editor that I’m now working with does not, so many of the questions have been about Malaysian itself. If a wrong assumption is made, as was pointed out to me from the onset, then the French translation or any editing changes based on that assumption, will be wrong and it will affect a scene, or how the reader will interpret what’s going on. For example, in “Mat Salleh” and “Smooth Stones” I had to clarify if a woven mat, often made from rattan, reeds or pandan leaves, was a carpet or a rug, or if the side steps and back steps were stairs or ladders since the words are different in French. The best way to describe them, as I did on page 124 in ”Mat Salleh”, is "ladder-like wooden steps". This seems apt. They requested a photo so I pulled up a sample from wikipedia (I showed them samples of the mats, too). The house I’m describing has a totally different front steps, which are in fact stairs, and a proper verandah, but it gives them a better idea as to what I’m actually describing so they don’t make any wrong assumptions. Also in “Smooth Stones” I had to clarify as to how some Malay fishermen fish, or why the character Omar is slapping the water with the bamboo pole while fishing. If the French editor is picturing in his mind a bamboo fishing pole instead of merely a bamboo pole, then slapping the water doesn’t make any sense; it will only scare away the fish, thus he won’t catch any. But in this case, Omar is slapping the water not with a fishing pole but just a bamboo pole to drive the fish in the opposite direction, toward the net that the other fishermen are holding. When translating, and especially when editing what’s been translated, it’s important not just to look at the original text in English, but also not to make any cross-cultural assumptions. The last thing a writer needs are errors of any kind to be introduced into the text. So far that’s not happening because they’re not making those assumptions, they’re asking me to clarify, just to make sure they got it right (or not) and I’m so glad, because once the story goes into French, I’m clueless. I won’t be able to catch those mistakes, but the readers sure will, especially those readers in French who are familiar with Malaysia. And a tribute to translators.